The NHL labor dispute caused a lot of chaos this season. 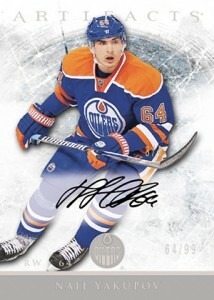 But with everything sorted out, Upper Deck can finally reveal the names for both the 2012-13 Upper Deck Artifacts Hockey and 2012-13 Upper Deck Hockey rookie redemptions. Damien Brunner Artifacts 2012-13 #VI Redemption RC Auto 99 Detroit Red Wings!!! 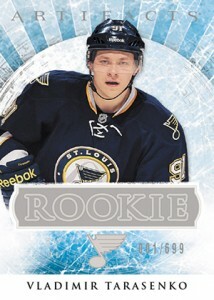 Jonathan Huberdeau 2012-13 Upper Deck Rookie Trade Redemption, RC, #TC-2 Rare!